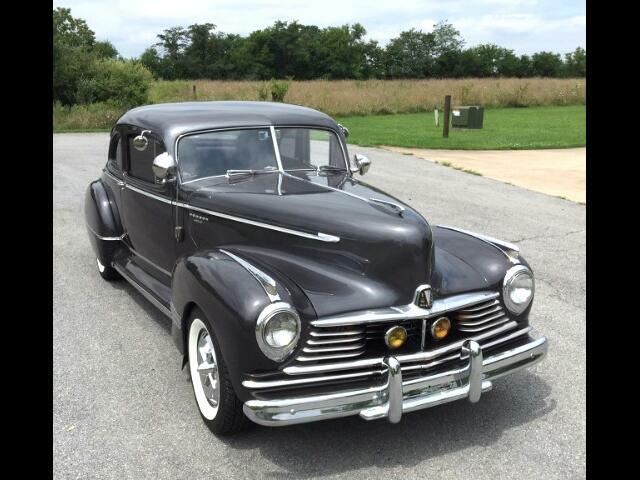 A beautifully restored and modified 1947 Hudson Super Six cpe with a complete Chevrolet drivetrain installed, including a 350 Chevy engine, automatic transmission, and updated rear. Also has power steering, power brakes, tilt wheel, air conditioning, and much more. Very solid body and undercarriage. How rare can you get? Message: Thought you might be interested in this 1947 Hudson Super Six.